Yesterday the LG V30 became available from AT&T and Verizon, and today US Cellular is releasing the same top of the line smartphone too. Interestingly though, US Cellular is offering you both the vanilla V30 and the V30+, a model we thought would be exclusive to Sprint. Not so, as it turns out. The V30+ comes with 128GB of storage compared to the V30’s 64GB, and that’s really the only difference between them. It’s unclear why LG thought some additional storage required the use of a different name. Anyway, if USC is your favorite carrier, you can now buy the V30 for $799.99 on prepaid, or 30 monthly installments of $28.32. 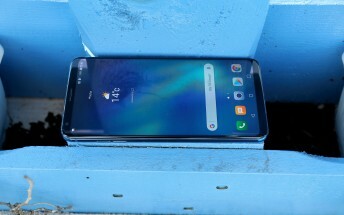 The V30+, on the other hand, is priced at $849.99 or $30.20 per month times 30. Regardless of which phone you pick, you’re eligible to receive a free new Daydream View VR headset.